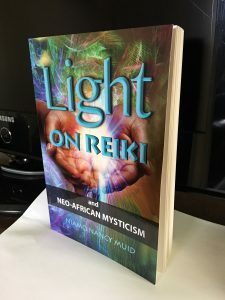 Light on Reiki and Neo-African Mysticism is finally available and you can receive your copy direct from me, the publisher, within 7-10 days. Later this year, God-willing, it will be available from Amazon and other e-stores. Why not learn about Reiki and get an insider’s view of what this energy movement can mean for you and your family’s health? To order your book go to this page. $24.99 includes shipping. We also have ebooks on frankincense and on weight loss. These are attached to other pages or posts on this site (please use Search to go to these pages/posts). Take advantage of this well-researched, original information that you won’t be able to find anywhere else. The information is the result of the authors’ 10 years of experience using pure oils with their families and others interested in alternative modes of optimizing health. 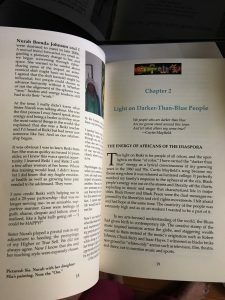 Buy the booklet for $5.95 by clicking the Add to Cart button, inserting the number of booklets wanted, then clicking the PayPal button. For wholesale orders of 5 books or more email your request to: healingbody@me (dot)com. Get Used to Ebooks. Use Computer Memory to Store Them. Self-development classics that are must-reads are below. You really should add them to your library. If you have any trouble downloading, just let us know. Electronic books (Ebooks) are a great aid in healing ourselves. They represent an up-tick in the three R’s of being literate — reading, ‘riting, ‘rithmetic. Today’s expansion of techno-literacy is similar to what happened when libraries were first organized and then spread across the country as brick-and-mortar buildings. Andrew Carnegie started the first library in Pennsylvania, in the early 20th century. Libraries are at nearly everyone’s fingertips now, because of the advanced technology we have today. Just so you know– Ebooks with packaged, copied “content” are worthless and waste your time. When you read the well-written gems, however, you never forget their message. Do not take your ability to read for granted. Books have the power to change minds. The gift of being able to read words and take action because you understand is a treasure beyond words. I invite you to download and read the Ebooks offered here, in the first paragraph above and here below. Your comments are appreciated. Acres of Diamonds is a free PDF version of a motivational classic. It is always recommended reading for people who work in direct sales. This book flew through the ranks during the rise of Amway in 1960s and 70s. Its core principle is still applicable to anyone who wishes to succeed socially and financially. This book and the rich-inner-self kinds of books are slowly making their way onto on school booklists. For one thing, Acres helps you to communicate creatively in the English language. For another, it gives you hope for the possibility of reaching your goal. The Catalogue of Economic Plants revisits the 1890s. It is an historical account of agricultural and mercantile plants and substances noted by a worker for the U.S. Department of Agriculture. As such, The Catalogue is fascinating reading, because of the writer’s cultural and social perspectives. The medical and home health care practices revealed are also precious. Some well known and less well-known plants with their folk names are included in this compilation. The Book of Archangel Michael is a channeled PDF message. Its author says she wrote everything she “heard.” It’s all the truth based on universal laws. 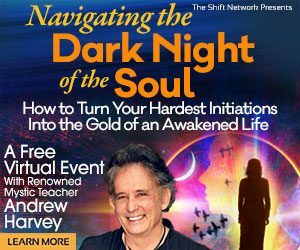 Like the entity known as Abraham (channeled by Esther Hicks), this messenger is a “we” and shares her version of universal laws from the Christian perspective.